Jackson area car shoppers looking at value, reliability and quality will have peace of mind with Honda on their list! Winner of Edmunds.com’s first annual 2011 Best Retained Value Award for non-luxury makes is Honda. How Does the EPA Determines MPG Ratings? See how MPG Ratings are determined. 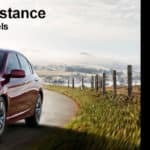 Honda has some of the most fuel efficent vehicles on the road. The 2010 Honda Civic ranks 3 out of 30 Affordable Small Cars. Choosing to buy a Civic is the easy part. The hard part is deciding which trim is right for you. Start your search here – 2010 Honda Civic Sedan, 2010 Honda Civic Coupe or Civic Hybrids. 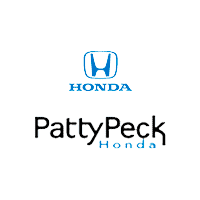 Get Patty Peck Honda’s current incentives at www.pattypeckhonda.com or call 888-902-1166 . Patty Peck Honda is Mississippi’s #1 Volume Honda Dealer. The Honda Graduate Programs can help make it easier to qualify for financing, and allow you to drive away for a small down payment.